The Boston Celtics have bounced back from a slow start to the season and are gunning for their fourth straight win when they host the rival New York Knicks on Thursday at 8 p.m. ET. Boston (13-10) has won once at home since Nov. 16, while the struggling Knicks (8-17) just knocked off the Celtics two weeks ago. Sportsbooks list Boston as a 13-point favorite in the latest Knicks vs. Celtics odds, with the over-under for total points set at 218. Before you make any Celtics vs. Knicks picks and predictions, see what the SportsLine Projection Model has to say. This advanced computer model, which powered the three largest fantasy sites, simulates every game 10,000 times to come up with a projected final score and stat lines for every single player. The model was red-hot in Week 7, going a blistering 18-5 on all top-rated NBA picks, including a strong 9-3 record on spread picks. Anybody following it finished way, way up. We can tell you the model expects the under to hit. It’s also locked in a strong against-the-spread pick that hits nearly 60 percent of the time. You can only see that one at SportsLine. The model knows that after starting the season 10-10, the Celtics beat the Pelicans by 14, Cavaliers by 33 and Timberwolves by nine. Now the Celtics get a boost Thursday with the return of swingman Jaylen Brown, who missed the previous three games with a back injury. Brown has averaged 11.1 points, 4.1 rebounds and 1.3 assists for the Celtics. Gordon Hayward had his best game as a Celtic on Saturday against the Timberwolves, coming off the bench for 30 points, nine rebounds and eight assists. The high-priced forward was averaging just 11.2 points before losing his starting spot. Of course, Kyrie Irving is still the key cog for the Celtics. The point guard is averaging 22.2 points, 4.8 rebounds and 6.4 assists. He had 22 points and 12 assists against the Knicks last time out. But just because the Celtics are rejuvenated and finding their form doesn’t mean they’ll cover a big spread. These teams have already played twice, and the Knicks more than held their own both times. New York cruised to a 117-109 win in Boston on Nov. 21, while the Celtics edged out a 103-101 victory at Madison Square Garden. Emmanuel Mudiay has taken the starting role at point guard and run with it, averaging 22 points, 4.0 rebounds and 5.5 assists. He had 28 points and seven assists in an OT win over the Bucks on Friday. Tim Hardaway Jr. continues to be an offensive dynamo in New York, averaging 22.1 points. And center Enes Kanter is back in the starting lineup. The rebounding machine had 13 points and 16 boards in Monday’s 110-107 loss to the Wizards. He’s averaging 11.8 rebounds, leading a Knicks team that ranks No. 4 in the NBA in offensive boards. Who wins Knicks vs. Celtics? And which side of the spread hits nearly 60 percent of the time? 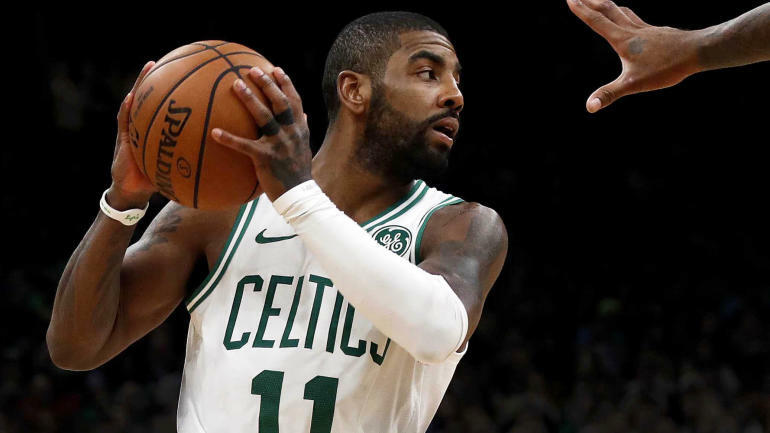 Visit SportsLine now to get the strong against-the-spread pick for Celtics vs. Knicks, all from the advanced computer model on a sizzling 18-5 roll.